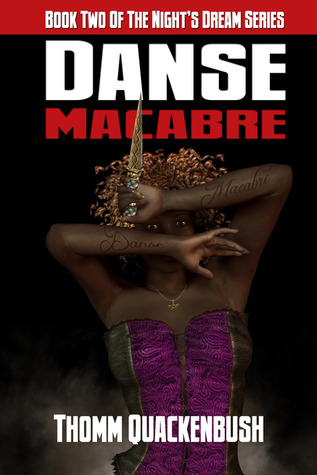 Danse Macabre is the second book in the Night’s Dream Series. The four main characters are back – Roselyn, Shane, Eliot and Dryden. Dryden likes to role-play as a vampire. He has a whole clan that is in on it with him. They believe they are vampires, but they also believe that real, bloodsucking vampires are a myth. That is, until Dryden is converted into one. He isn’t like the rest though. He doesn’t feel the need to kill people in order to get blood. He would rather drink from an animal than from a human, but that is not how it works in the world of the undead. When he escapes captivity from his makers, they set out to hunt him down and will collect everyone he loves in the process. Shane gets mistaken for Roselyn and is captured. Roselyn, Dryden, Eliot and Noah must all work together to try to save her before the vampires end up killing her. As Dryden feels himself becoming more bloodthirsty and violent, he must find a way to halt his urges before anyone close to him is hurt. I feel like there was better character development in this one compared to book one. They all had their own arcs and personalities. Whereas, in the first book, everyone meshed together for me; it was hard to get connected to them. Seth was an extremely likable unlikable character. The reader isn’t supposed to like him at first, and he is written well to make you appreciate him. The plot and flow of the story made a lot more sense to me in this one than the first one did. I was able to follow along pretty well. It also helped that I knew who the characters were from the first novel. Even for a book about vampires, I was a little surprised by the amount of blood that was in it. I am not used to the genre though, so I don’t know whether it is more or less than the norm.